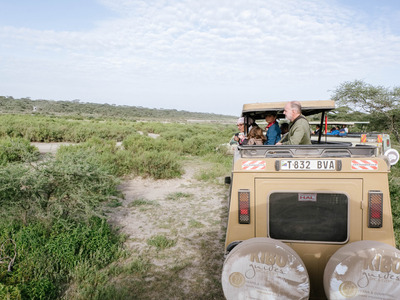 Harrison Jacobs/Business InsiderA safari is only as good as its guides. 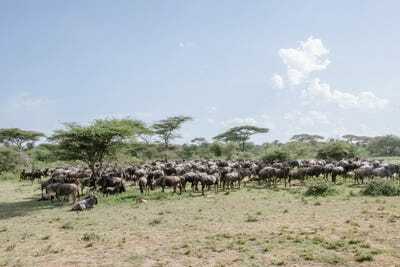 In five days, I saw the Great Wildebeest Migration – 1.5 million wildebeest travelling across Tanzania’s grasslands to give birth – as well as numerous lions, elephants, and giraffes. 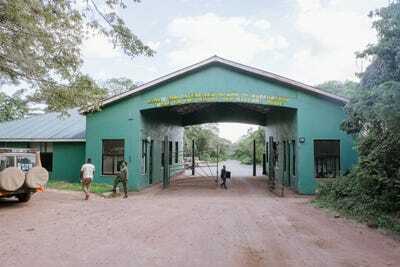 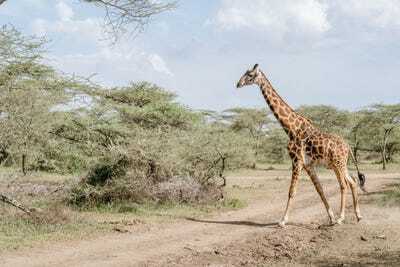 That’s what my guide, Charles Nnko, told me after I touched down last month in Arusha, Tanzania. 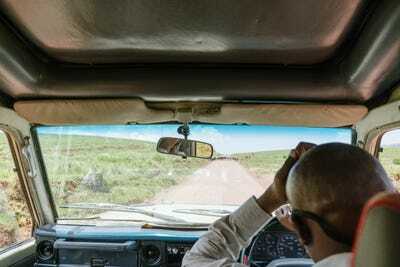 We were in a Franken-Land Rover, rumbling down a highway that inadvertently turned into a windy dirt road every few miles. Nnko and Tanzania Experience had arranged for me to see a greatest-hits collection of a Tanzanian safari, including all three of the aforementioned parks. By the end, I was convinced it was the greatest experience I’d had in a year of travel. 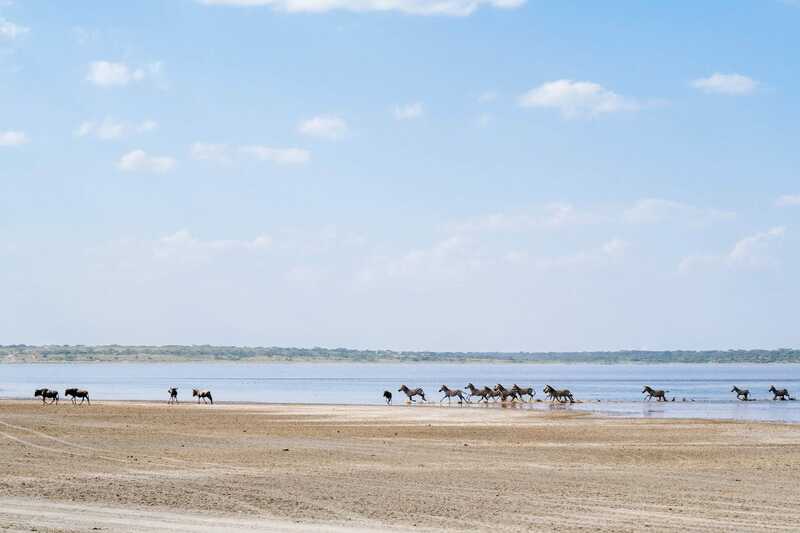 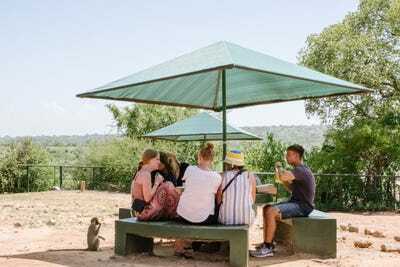 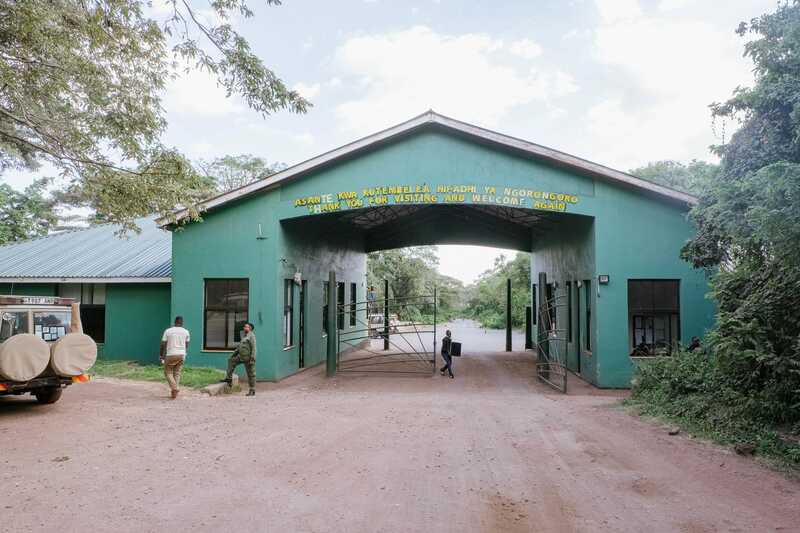 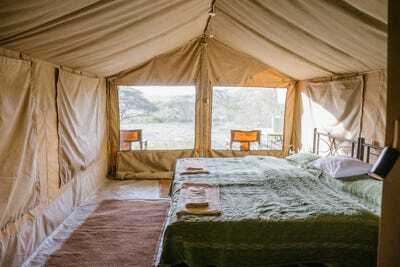 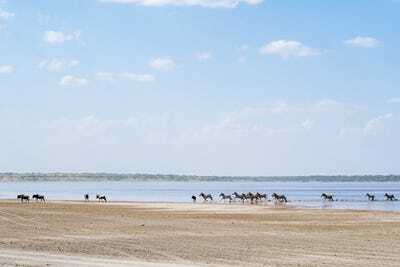 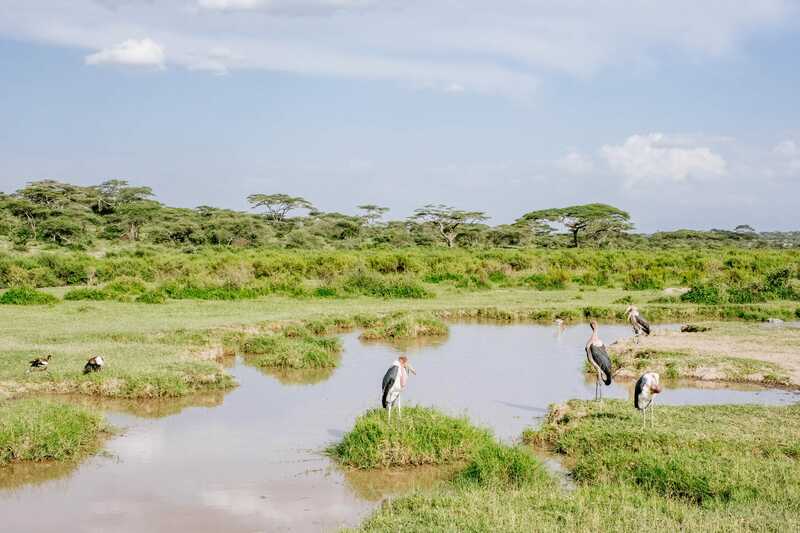 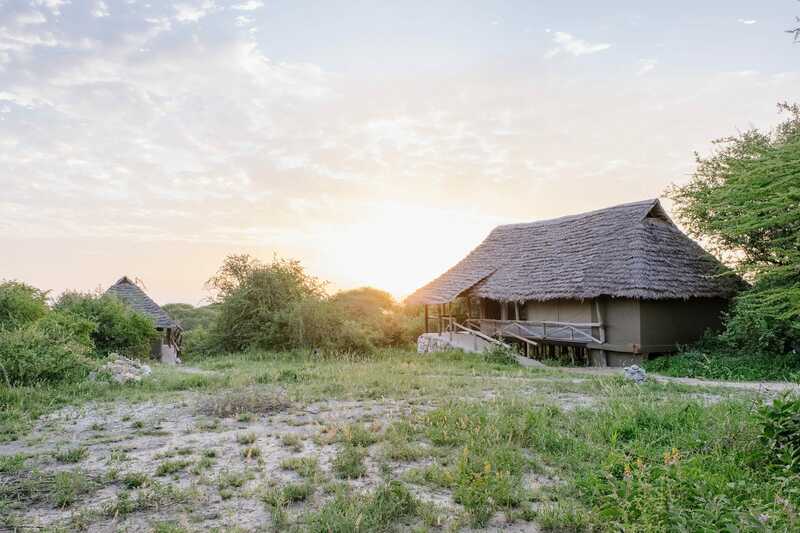 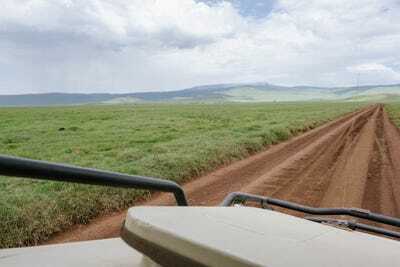 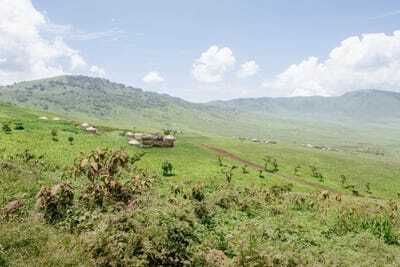 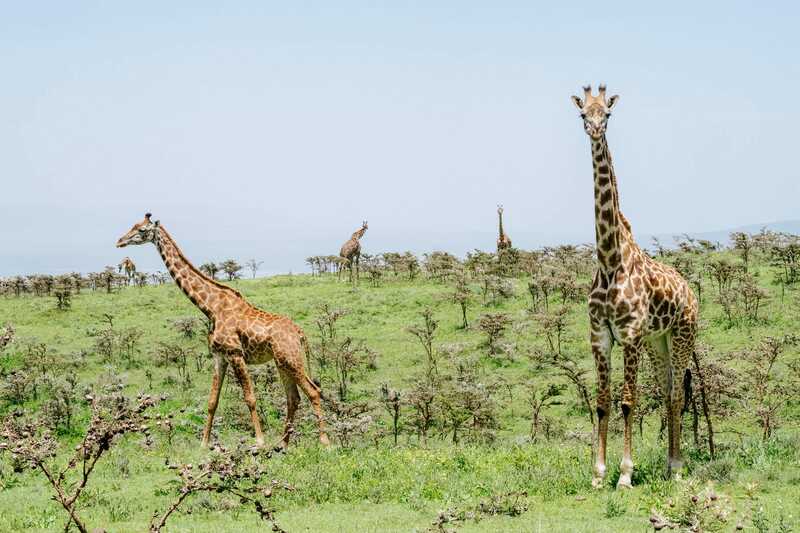 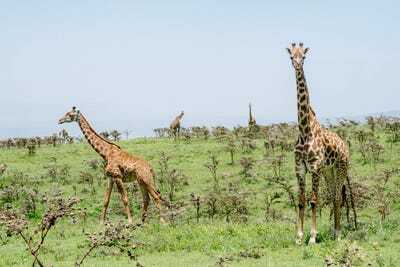 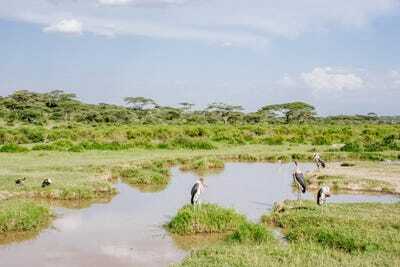 The northern circuit, the more popular of the two, includes the Serengeti, the Ngorongoro Crater, and Tarangire National Park – all the places I was hitting on my five-day safari. 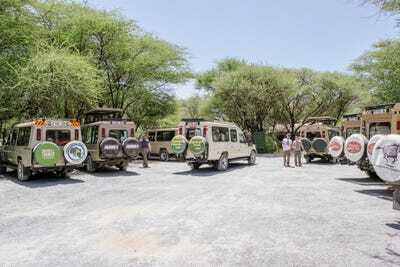 As we drove around the park, Nnko explained the different behaviours of the animals. 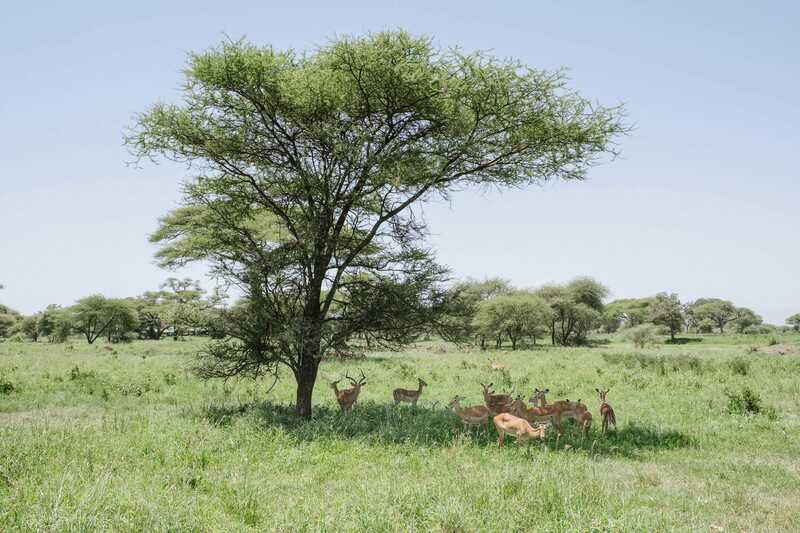 For example, impala typically live in groups consisting of one dominant male and many females – as seen above – or in a “bachelor” group of all males. 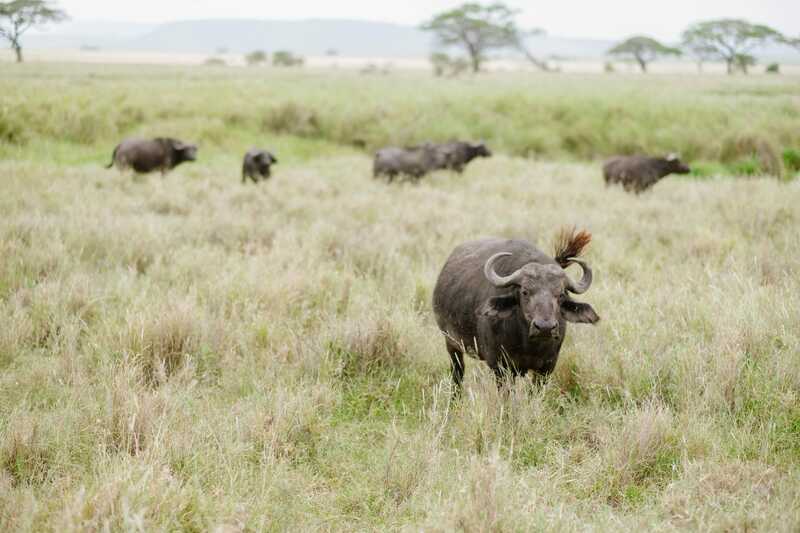 The “big five” animals to see on an African safari are the buffalo, the black rhino, the lion, the elephant, and the leopard. 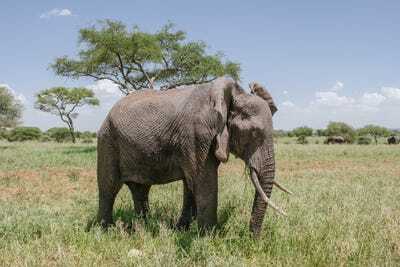 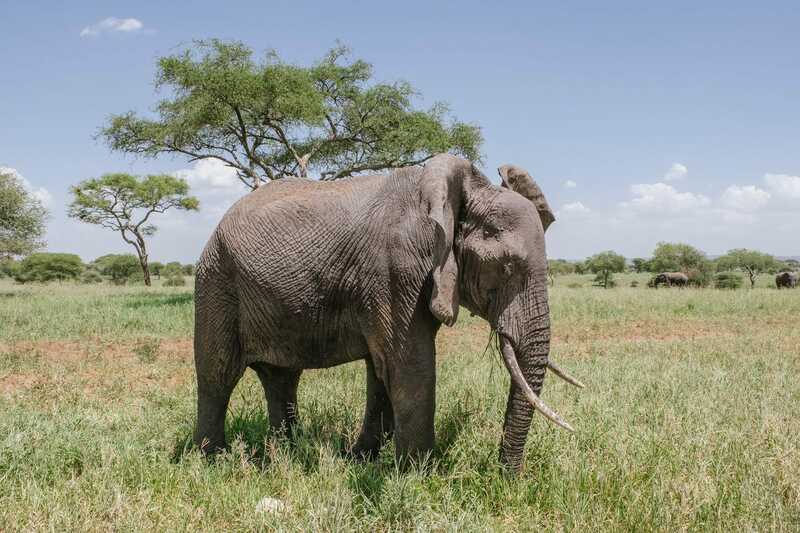 Tarangire is the best place to check the elephant off the list. Thousands of elephants live in its environs, with herds of 300 not an uncommon sight. 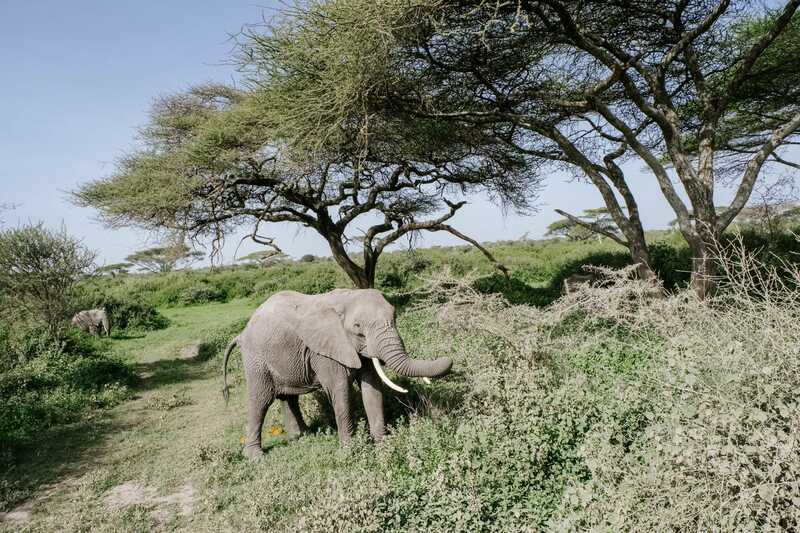 It’s easy to get close to them; the elephant above was grazing a few feet from our truck. 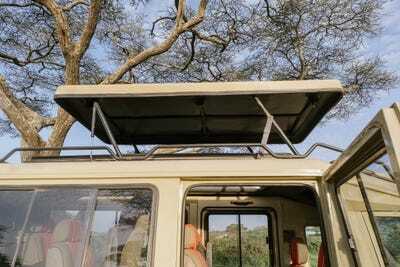 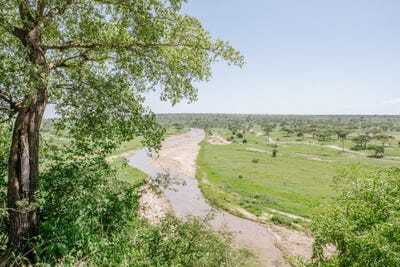 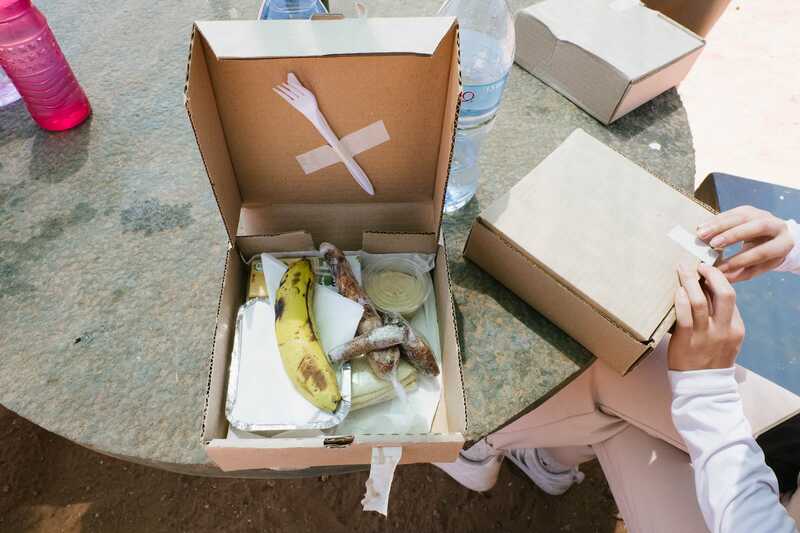 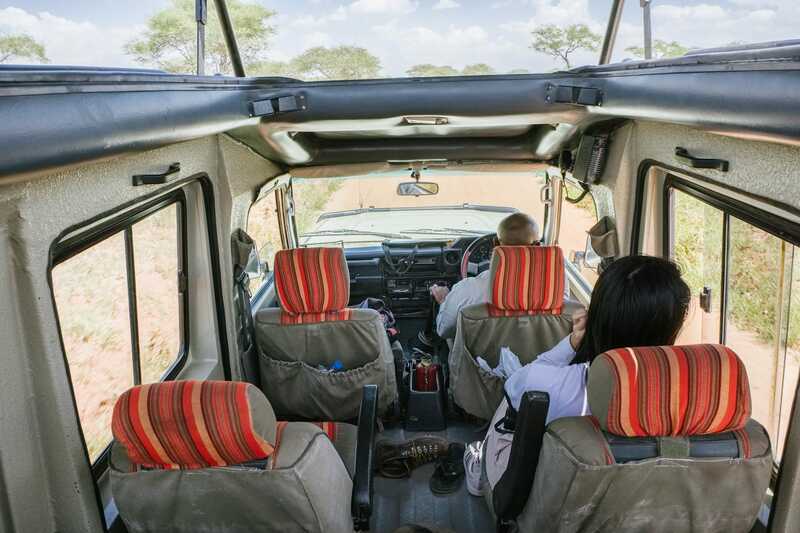 Since I was on a short safari – many people do 10 days or more – I opted for picnic lunches and all-day game drives. The most exciting sights on safari are the surprises, like this warthog — Pumba, for those “Lion King” fans out there — and its baby. 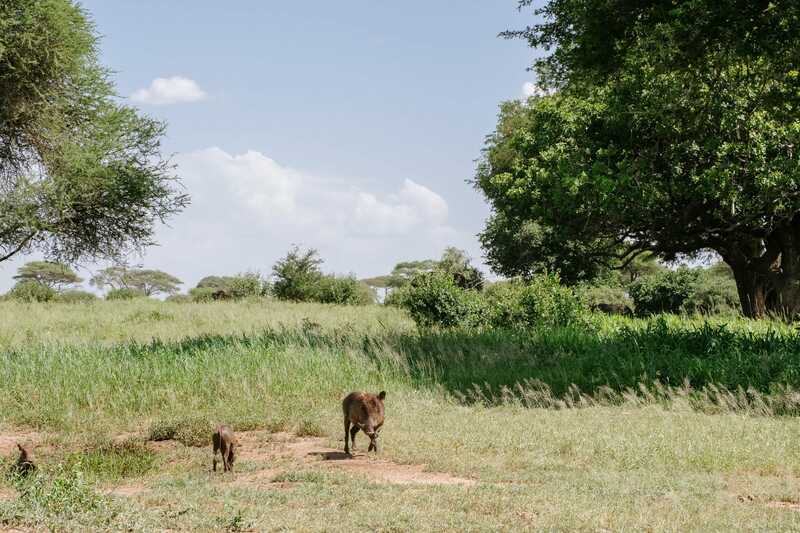 They scurried across the path in front of us before disappearing into the bush. 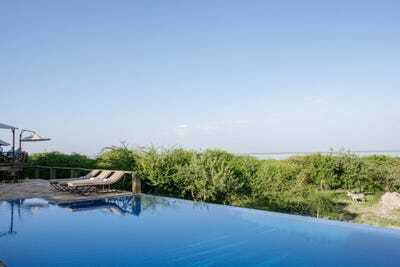 By the time we reached Lake Burunge Tented Lodge, a short ride from Tarangire, I was ready for a nap. 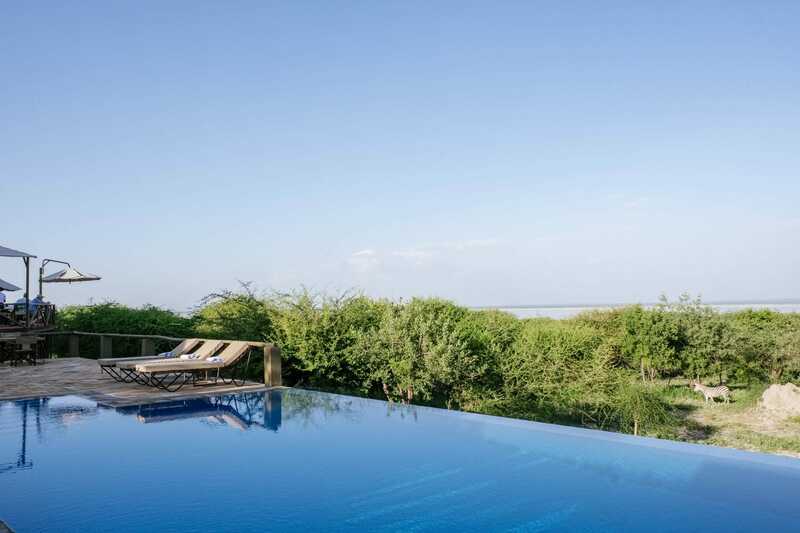 From the lodge’s terrace, I could watch flamingos on the shores of the lake while zebras grazed in the nearby bush. The lodge consisted of a central dining pavilion and several nicely outfitted huts. Walking between the two alone after dark isn’t allowed. You have to ask one of the guards to walk you, lest you run into an errant lion that has picked your porch as a perch. That’s not a joke. Safari is a Swahili word meaning “journey,” the significance of which Nnko drove home when he told us we’d be driving for over six hours to get to the Serengeti. 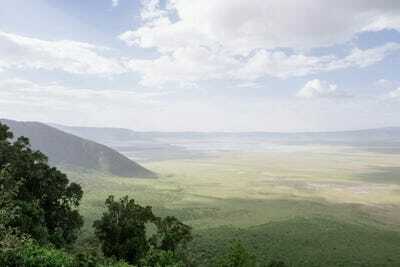 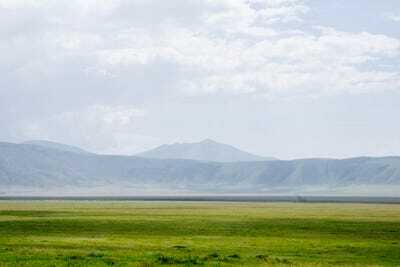 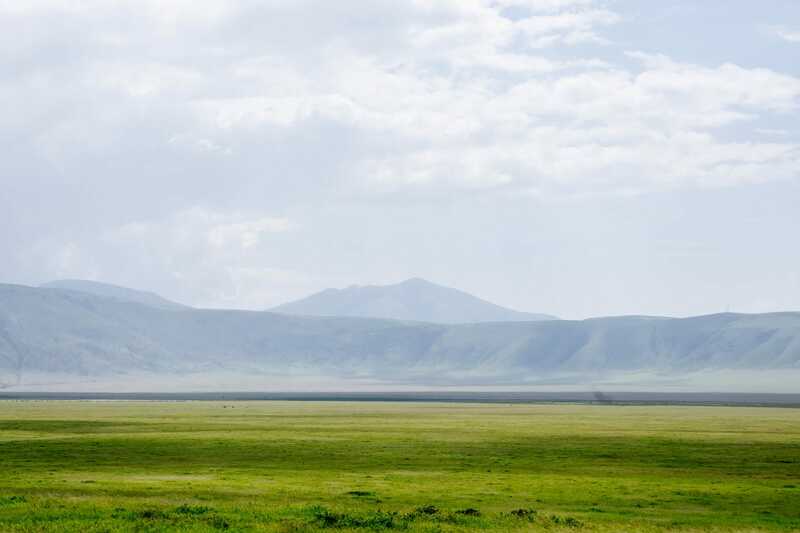 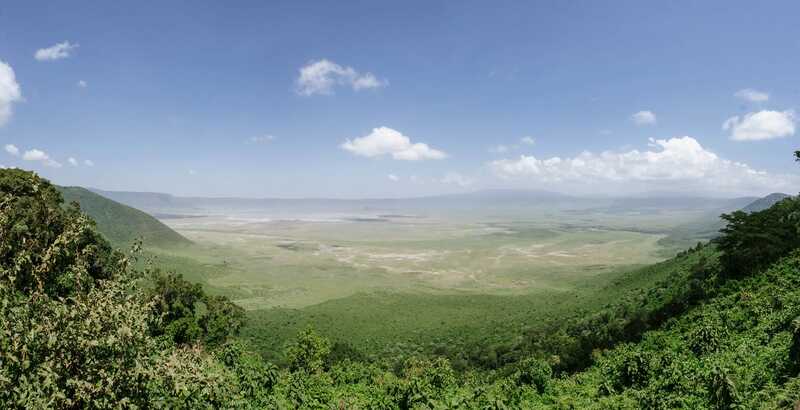 First, we passed the Ngorongoro Crater, which contains a complete wildlife ecosystem that doesn’t leave the volcanic crater. 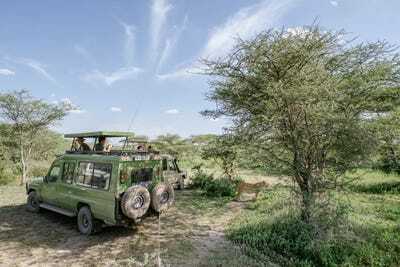 Much of being on safari is luck. 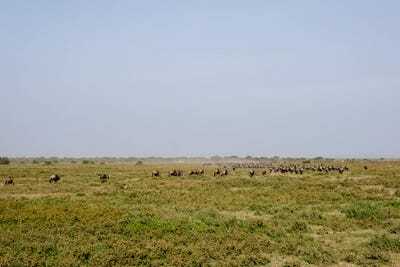 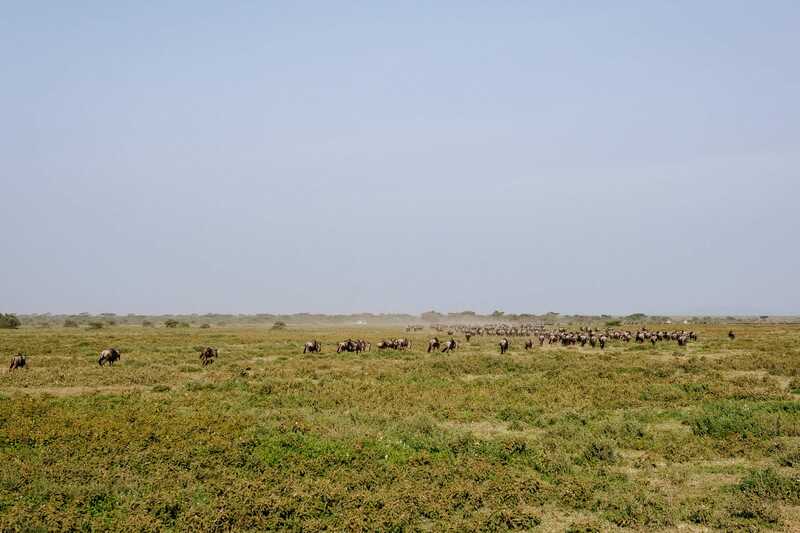 If we had been 10 or 15 minutes earlier to the lake, we would have seen this massive herd of wildebeest crossing. 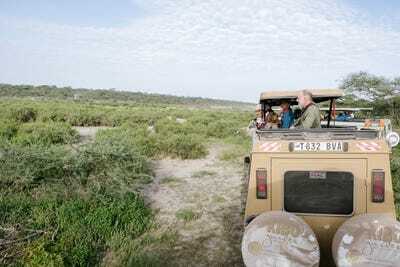 Instead, we found them gathering a half a mile farther into the bush. 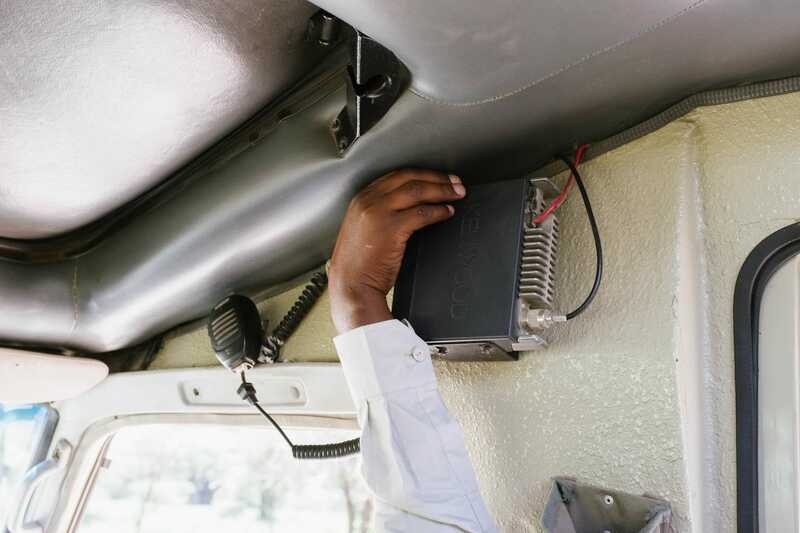 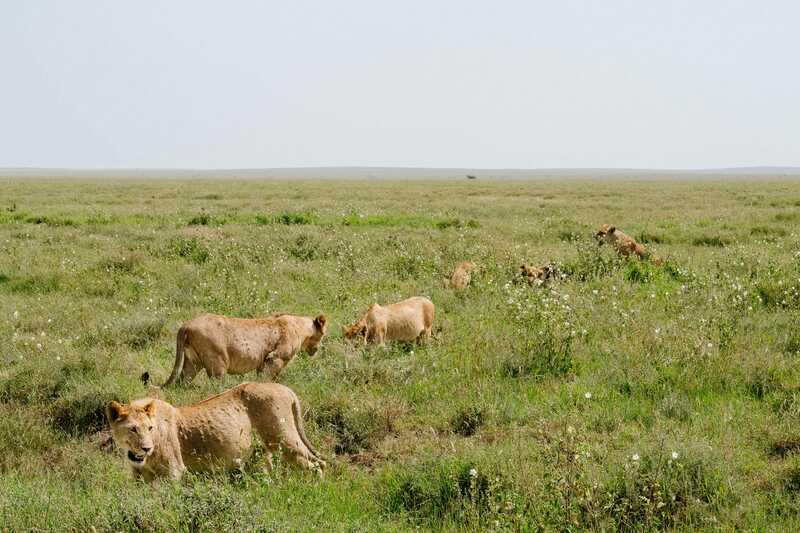 Nnko got a call on his radio that signalled a small pride of lions was nearby. 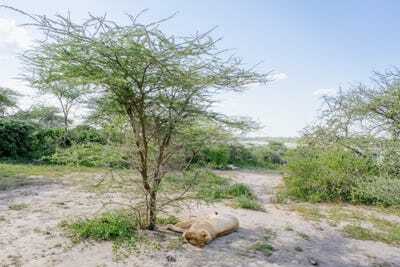 We zipped over to find the lions sleeping beneath this tree and in the bushes. 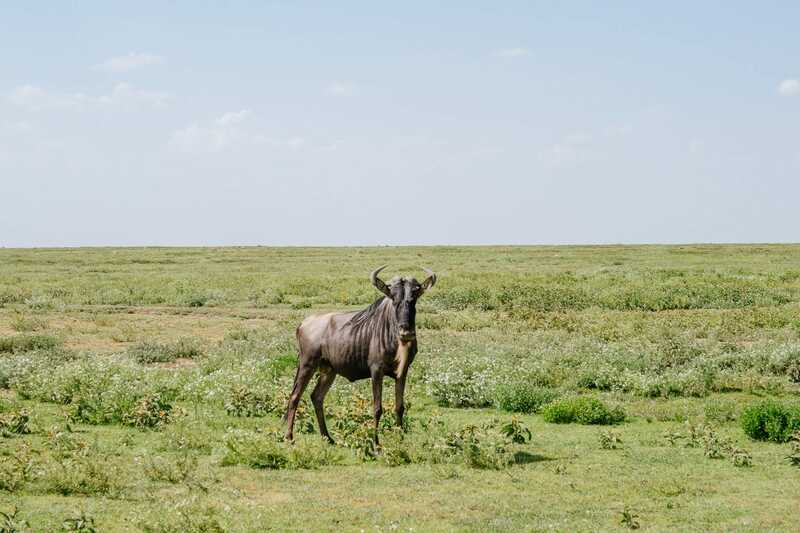 There’s little I can do to convey the awesomeness of seeing several thousand wildebeest stampeding through the grasslands at full speed. We stayed two nights at Ndutu, and by far the most memorable sight was this swooping arc of wildebeest. 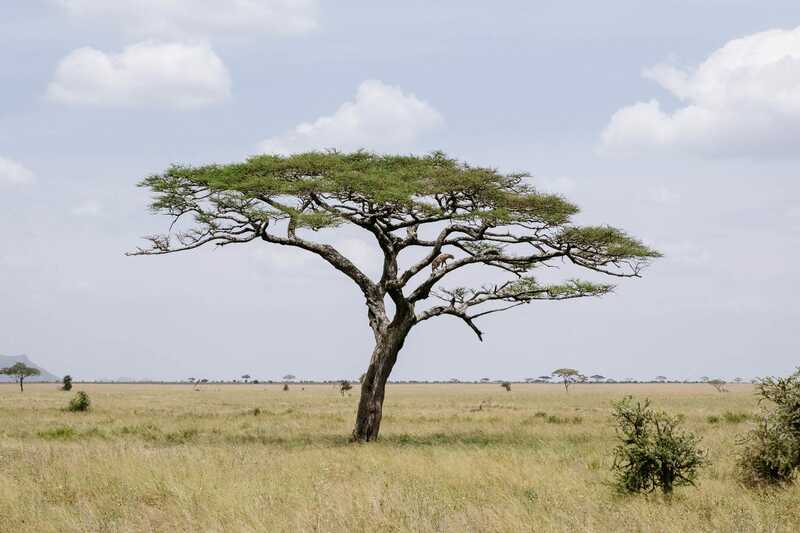 The Serengeti comes from the Maasai word “serenget,” which means endless plains. Game viewing isn’t as concentrated as it is in Tarangire, as the Serengeti spans 12,000 miles of grasslands, forests, swamps, and woodlands. 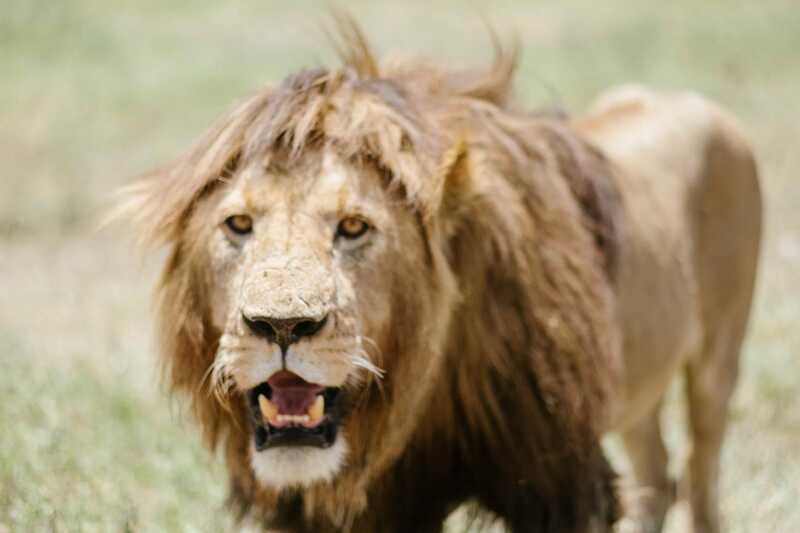 One animal that’s surprisingly not hard to find is the lion. 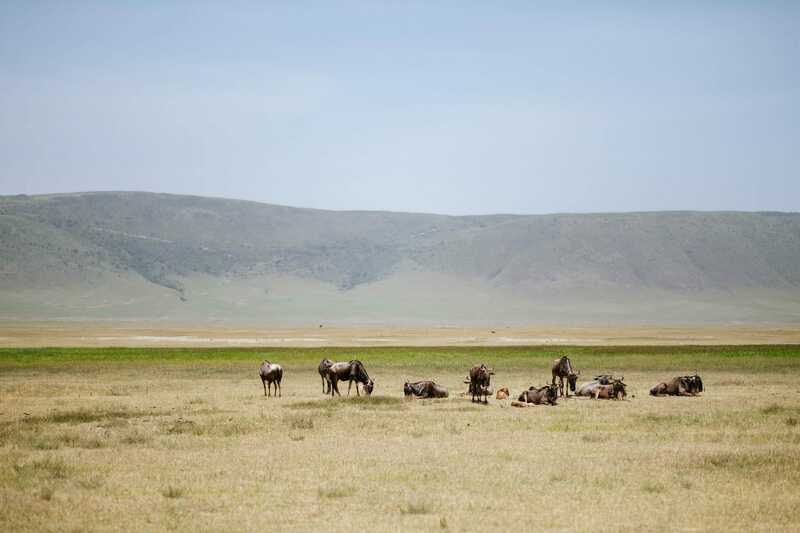 They like to lay in the grasses near the road. 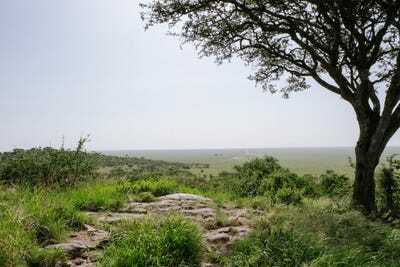 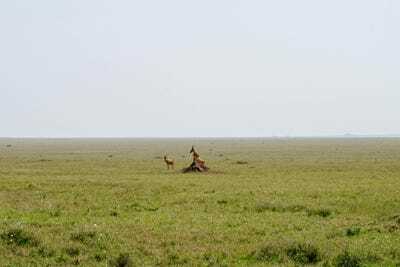 The Serengeti is by far the most popular of Tanzania’s parks. 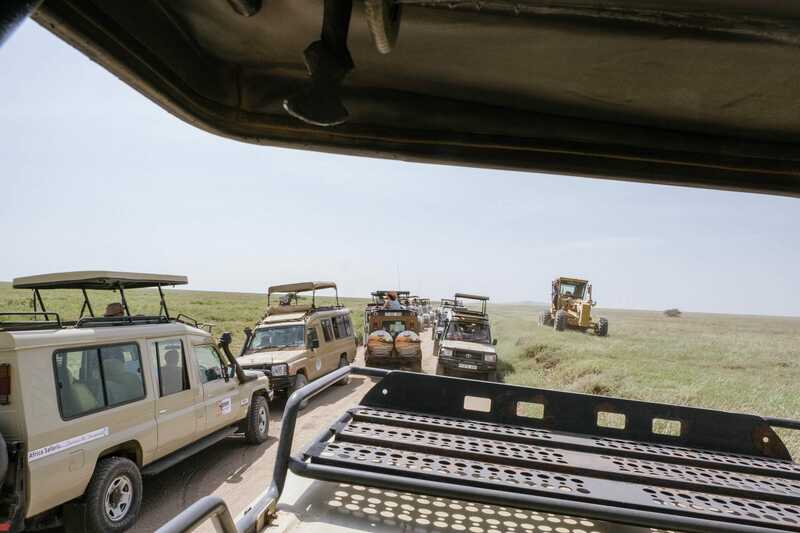 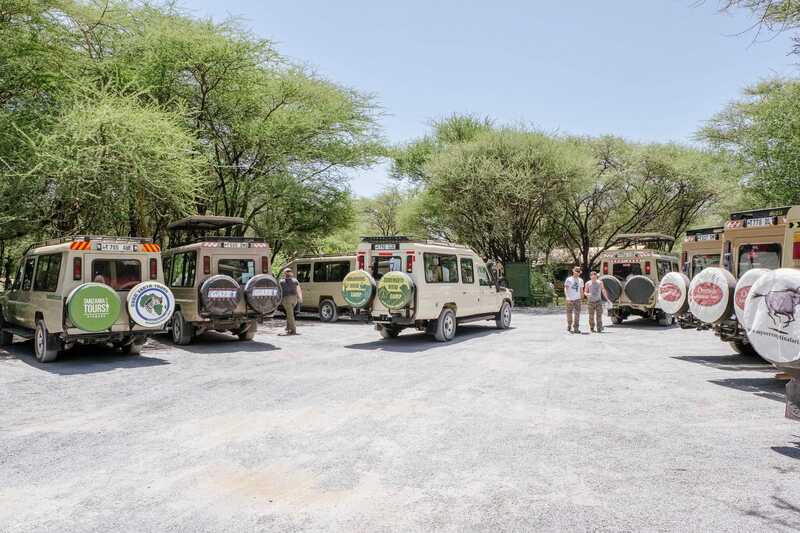 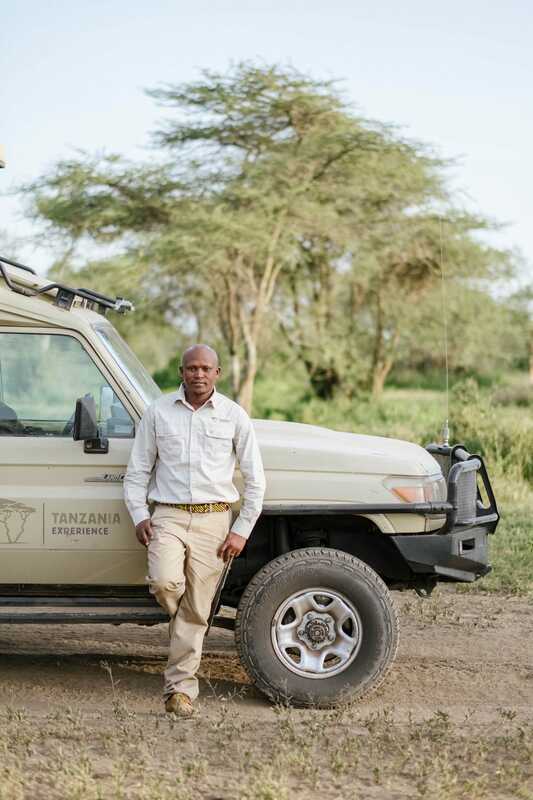 Out of the 1.4 million visitors to Tanzania, 80% visit either the Serengeti, the adjacent Ngorongoro Crater, or Mount Kilimanjaro – meaning that no matter the time of year, if there are lions around, there are also going to be many jeeps jostling for a view. 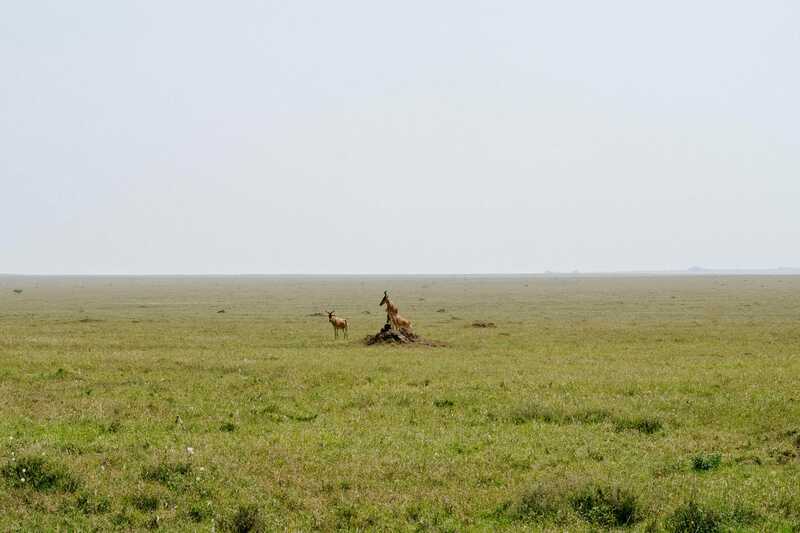 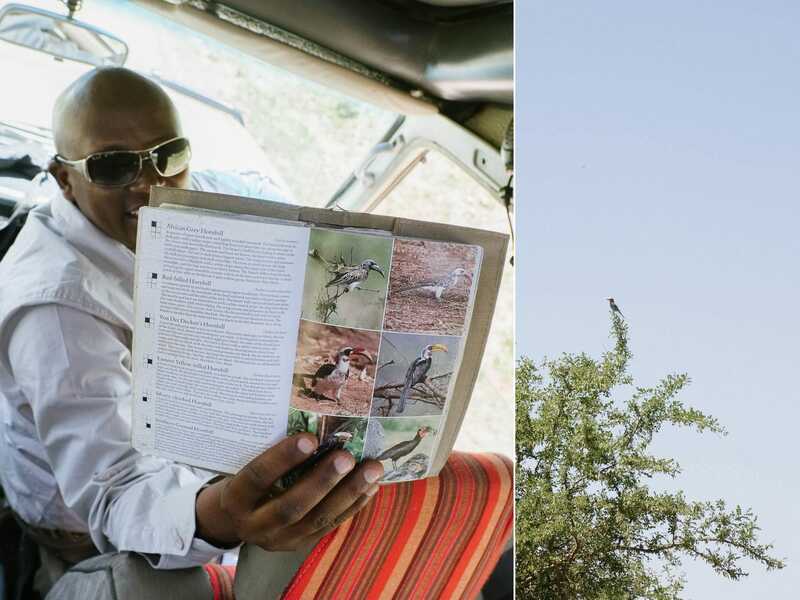 For me, the most interesting part of being on safari was learning about animal behaviours, like how certain antelopes like standing on termite mounds to get a good view of their surroundings. 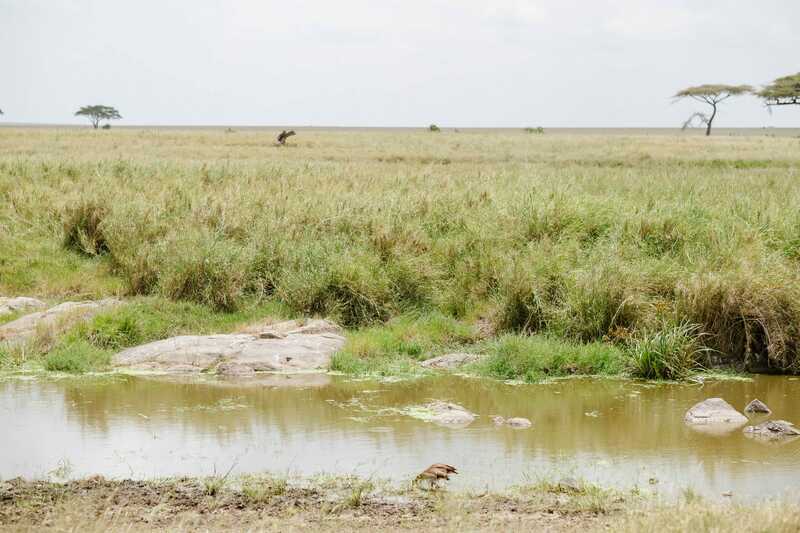 Nnko’s eyes are so sharp that as he was driving, he spotted this Nile crocodile hiding on the edge of the swamp. 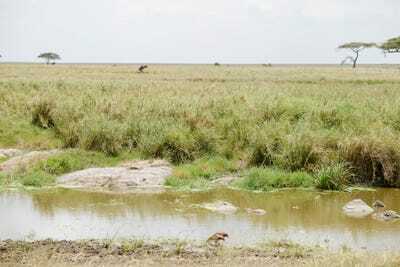 Harrison Jacobs/Business InsiderSee if you can find the crocodile in this photo. 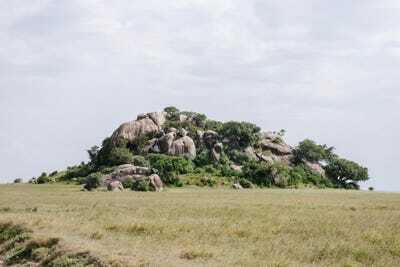 The Serengeti is widely considered the inspiration for “The Lion King,” and guides say Simba Rock is the inspiration for Pride Rock, the setting of the movie. 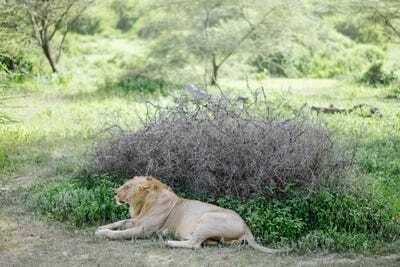 Simba means “lion” in Swahili. On our way back to camp for the night, we passed the same pride of lions we saw coming in. 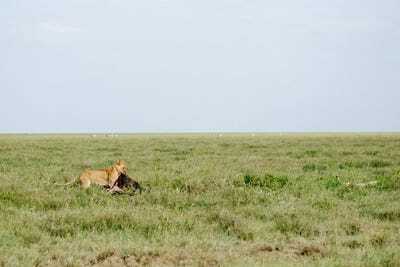 They hadn’t moved from there, but it looked as if one of the lionesses had hunted a wildebeest. 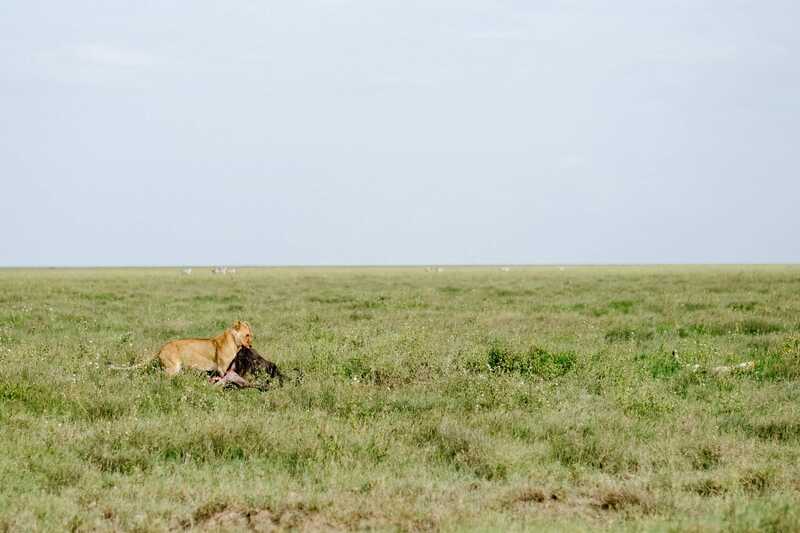 She was eating it as we passed by. 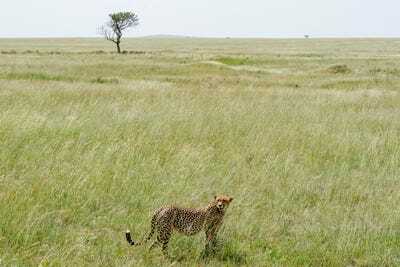 Typically, males hide out during the day while the females go out and hunt. This male was out walking around with a female. 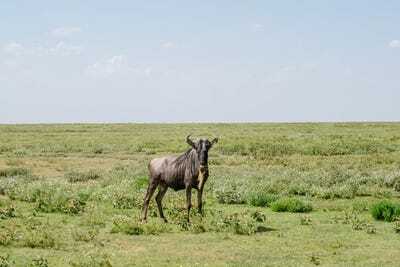 Nnko said it was likely because it’s mating season. As we drove out of the bush, we came upon a small family of elephants. 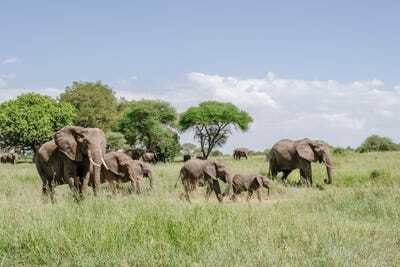 A mother was pushing a baby that didn’t even have its tusks yet, and a couple of young males were eating these thorny branches. 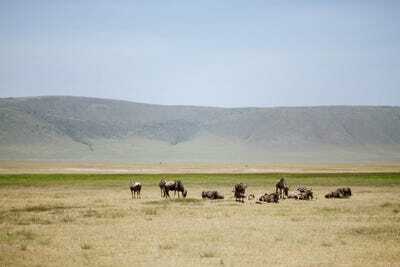 The animals that live in the crater, whether wildebeest, lion, or elephant, don’t leave. They are not part of the migration. 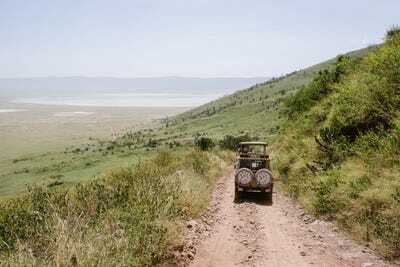 Each jeep is allowed only five hours in the crater to limit the environmental impact. 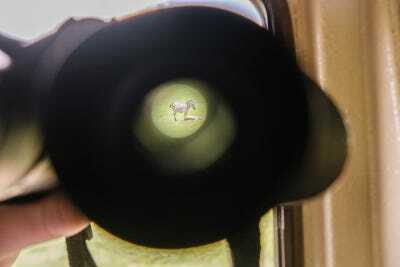 That’s not a lot of time to spot a black rhino, the last “big five” animal I hadn’t seen. Few people see the entire “big five,” let alone on a short five-day safari. For me, it came down to luck – and to my guide, Nnko, who spotted rhinos and a leopard when they appeared like specks to me.